Belles came like a bolt out of the blue! Sharing the same UK distributor as Cabasse speakers, the arrival of its IA-01 integrated amplifier prompted three nagging questions: Just who is Belles, what credibility does the company have in the high-end amplifier stakes and is the IA-01 an amplifier that can be taken seriously alongside a plethora of better-established companies, such as Naim? The parent company trades under the banner Power Modules inc. and has a history going back more than 30 years. Belles is the product name of their pre, power and integrated amplifiers, the test subject here being in effect a synthesis of the technology of two existing models, the LA-01 preamp and the MB200 monoblocks. Convection cooling uses the fine-pitched heat exchanger fins that cover the two side panels, with the cooling capacity probably more than is strictly needed in most situations as the amplifier runs fairly cool, even under sustained drive. There is nothing special about the standard of fit and finish, but it is more than adequate. The amplifier is well built internally and uses good-quality components; an ALPs volume control for example, but the signal is piped from the back of the amp to the potentiometer and back again afterwards, which is not an ideal arrangement. A long-spindle volume pot would have been a better arrangement. By any standards, the IA-01 is a no-nonsense amplifier. It's a dense, heavy lump and is unexpectedly compact. It is far less bulky, however, than many otherwise similarly designed audiophile amplifiers. The outer structure is fabricated from aluminium panels, the thick front panel having bevelled edges and a cut-away central feature, which together count as one of the only concessions to style. The unit sits on Stillpoint feet and a palm-size, full-function remote control covering power, mute, input selection and volume is also included. The minimalist theme continues. There are just four identical line inputs, a preamplifier output, but no tape circuit, no headphone socket and (less surprisingly) no phono input. Internally, the circuit is entirely discrete, with no integrated opamps. A preamplifier level output, however, is provided, which means that the unit could be used with a separate power amplifier, though given that the power amp is without doubt the strongest part of the package, this may turn out to have limited application in practice. The main output consist of a single set of good-quality 4mm binding posts. Mains power switching, sequential input selection and full mute are available from spring-loaded front panel switches. The only other front panel furniture is the rotary volume control, plus the LED input and mute status telltales. It all makes for a simple and very matter of fact package. For an amplifier with no discernible pedigree on this side of the Atlantic, the Belles gives a great account of itself as a bold, well controlled and dynamic amplifier. Generally it doesn't have a strong voice of its own, which is a good thing, of course, and in many comparisons its boldness and raw power should stand it in very good stead. The fact that it's a high-power amp is not the issue here, but the manner in which it delivers power is. It almost sounds as though it is enthusiastic about getting involved; it also avoids the flatness and congestion that characterises some second-ranking amplifiers. This doesn't mean it is beyond criticism. We were able to compare it to the excellent Denon PMA-SA1, which has a similar price to the IA-01, as well as the more costly Esoteric C-03 preamplifier and A0-03 power amplifier. Both have a level of sophistication that ultimately eludes the Belles and this is particularly true of the Esoteric, which has a polish and finesse that is quite out of the ordinary, but is what you'd expect given the price differential. The Denon ran the Belles much closer. Of the two, the American amplifier is clearly much more powerful and ultimately the Denon has a mild, but characteristic colouration which the Belles lacks. But the Belles can sound slightly grainy and gruff, though it is far from being overtly harsh or aggressive. Just the opposite, in fact. And despite its overall liveliness, the IA-01 has an almost mild-mannered demeanour through the midband, albeit with a trace of something slightly closer to the knuckles at the high-frequency end of the spectrum. The bass is audibly completely unobstructed and the Belles is open and generous and never constrained or lacking in drive. On the whole, the IA-01 is comfortable driving most of the loudspeakers we had access to – from the diminutive Eclipse TD712 Mk2 to the large and unusually complex Opera Malebran, which from first appearances looks like an amplifier-breaker if ever there was one. But for reasons it's hard to put a finger on, the Belles IA-01 is not altogether comfortable driving the Martin Logan CLX at high levels, perhaps because it can't handle the unusual electrical loading these speakers impose towards the upper frequency limits. It's not that the Belles can't cope, or that it sounds distorted, it just sounds slightly out of sorts. This is a loudspeaker that demands a certain kind of sympathetic synergy and an amplifier with a more graceful and atmospheric quality. Although it costs a lot more money, this is one case where the additional cost of the Esoteric pre and power amp would pay dividends. A good result then. 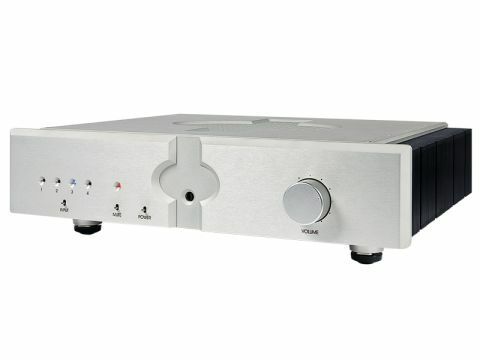 And the proposition is even more attractive, because the amplifier is so sensibly priced by the standards of its peers. At the very least, it doesn't subscribe to the syndrome that any amplifier aimed at the audiophile community with a respectable power output is apparently required to cost an arm and a leg. The brief mention of the Naim in the introduction was not entirely accidental. Although there are many very obvious differences, there are also sufficient common factors for the comment to be valid. The Belles is a kind of American Naim, given its simplicity, and we suspect that there is even some commonality in their voicing. The IA-200 might even prove attractive to those who aspire to a Naim – a high-power one anyway – but who can't afford the entry price. But this is a very attractive design even leaving this point to one side. This is not an amplifier that ticks all the boxes and you may want something a little more sophisticated, but the Belles IA-01 is an open, dynamic amplifier with excellent control and definition.